Developed by Blizzard following the sucessful WarCraft series, Starcraft is undoubtably one of the most innovative and popular RTS games to hit the market. Introducing for the first time three races all completly unique yet perfectly balanced, this made for some fantastic gameplay with zergling rushes, to siege tank massacres. 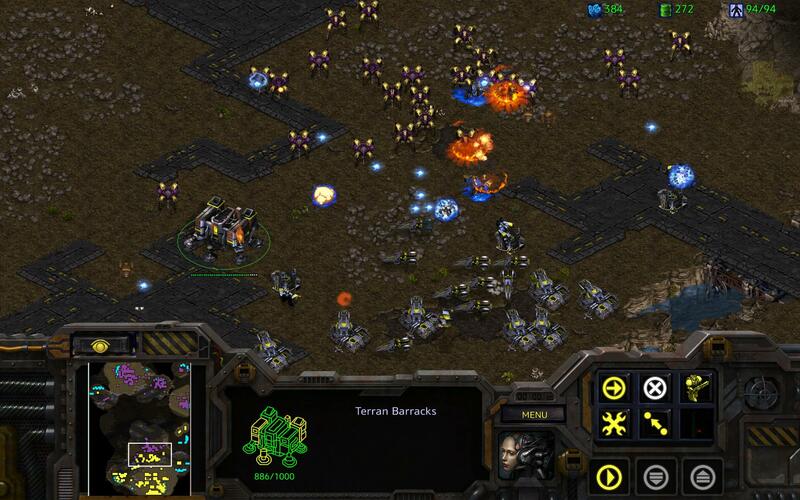 With starcraft having such a cult following there are bountiful mods available from simplistic character changes to new scenarios, and challenges to face. The fact that Starcraft has been game of the year sums up just how good this game is, so crank it up if you are not already playing it!